The nominations list for this year’s BET awards has finally been released and now we know which artistes have been nominated in the awards schemes. In previous years, BET usually separates their international categories into Best African Act and Best UK Act but this year, they seem to have merged the two categories into one and it’s now Best International Act. 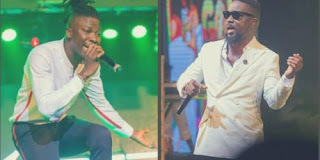 We got at least one nomination at the BETs each year, but this time around no Ghanaian act was able to make it perhaps because of the merger of the two categories. Two Nigerian artistes made it into the international category and they are Davido and Tiwa Savage. The only ‘Ghanaian’ artiste in there is Stormzy but he’s even a UK citizen, so we can take some consolation in the fact that, there’s one of our own in there.